Volume A is a selection of 210 of some of the most popular choruses in Australia. Volume B is a composition of 183 choruses chosen over a period of5 years from more than 2000 years. 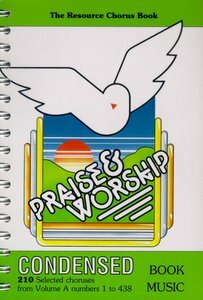 Pulling from such wide sources as Australia, New Zealand, the UK, and the USA, these volumes are an ideal cross section or worship songs for churches, small groups or individuals. Also available is listening cassettes and cds, transposed music Eb and Bb, words books, and overhead transparencies. About "Rcm Volume a (Supp 1-6) Music Book (Condensed)"